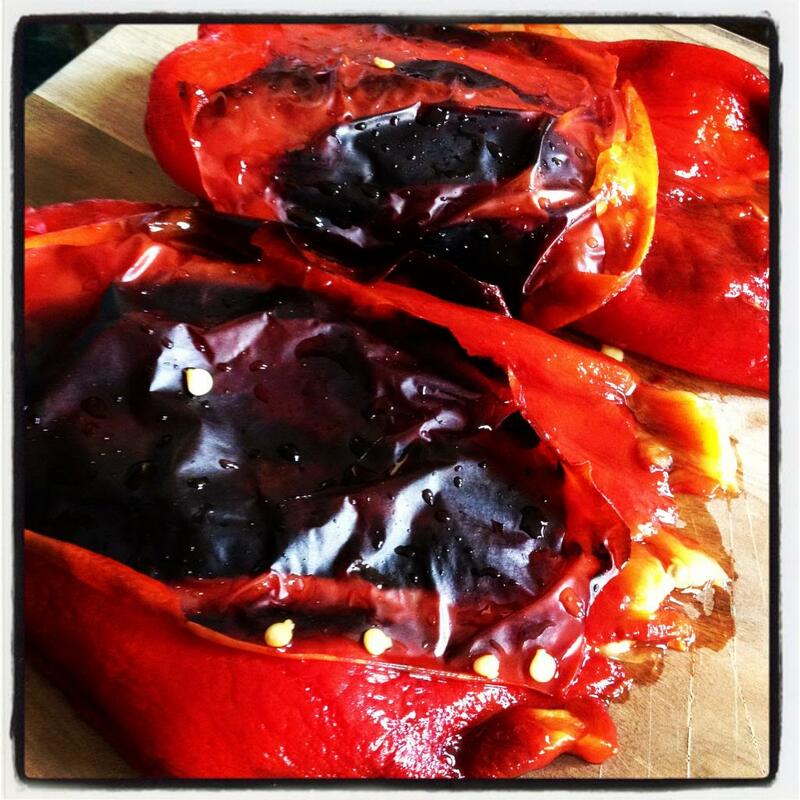 Make Your Own Roasted Peppers! 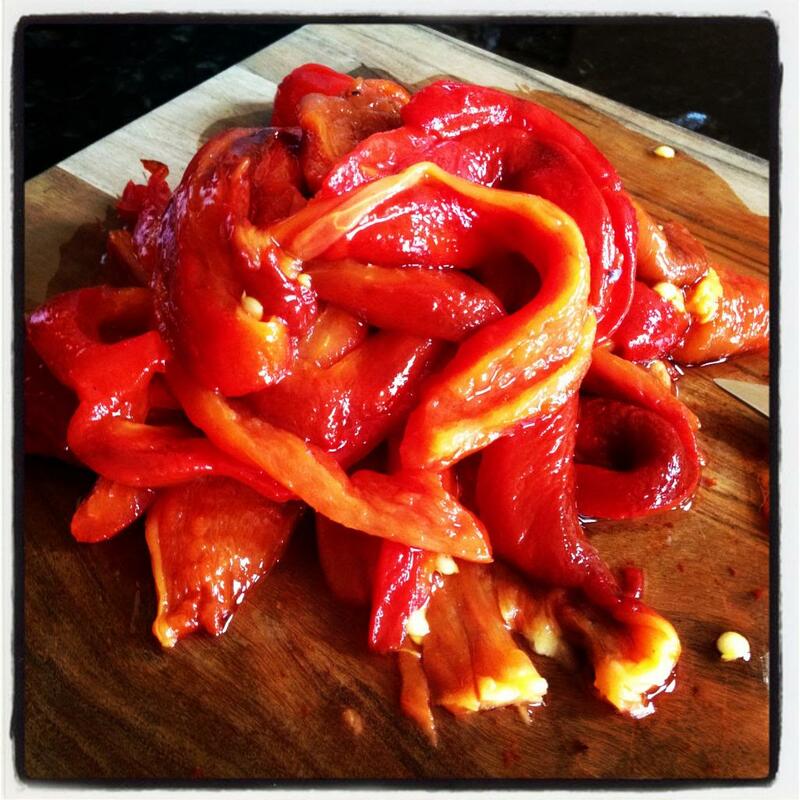 Roasted peppers are so delicious, especially when you make them yourself. Its just one of those things where the store bought doesn’t come close to homemade and they are SO simple to make!!! 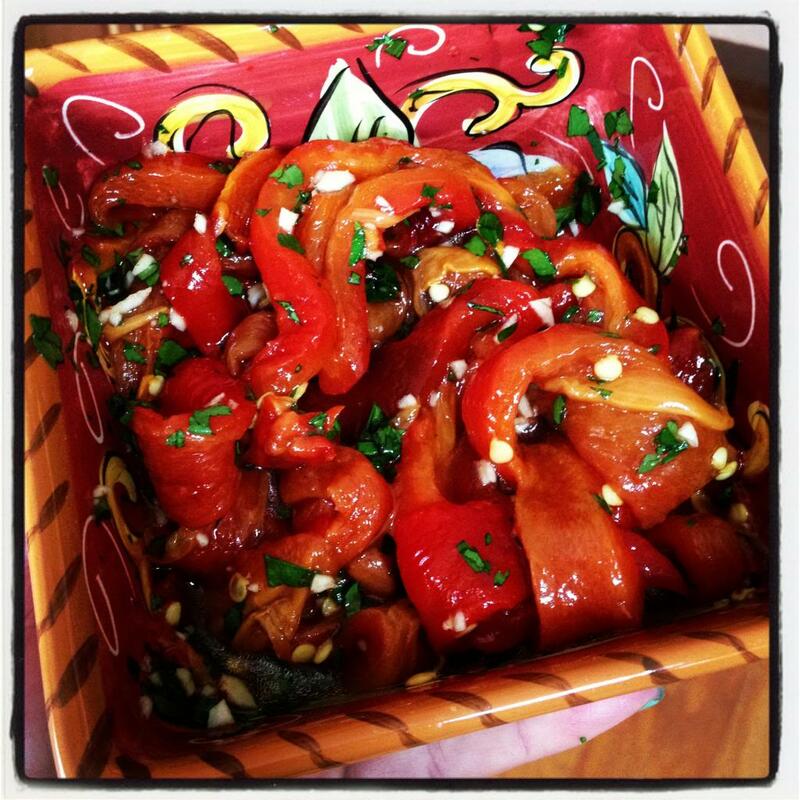 A quick char on the peppers, some garlic, parsley and olive oil… perfect roasted peppers! These are great alone as part of an antipasto platter, pile them onto a sandwich, to make a roasted pepper & basil bean dip or overtop a fresh mozzarella, arugula & prosciutto pizza! 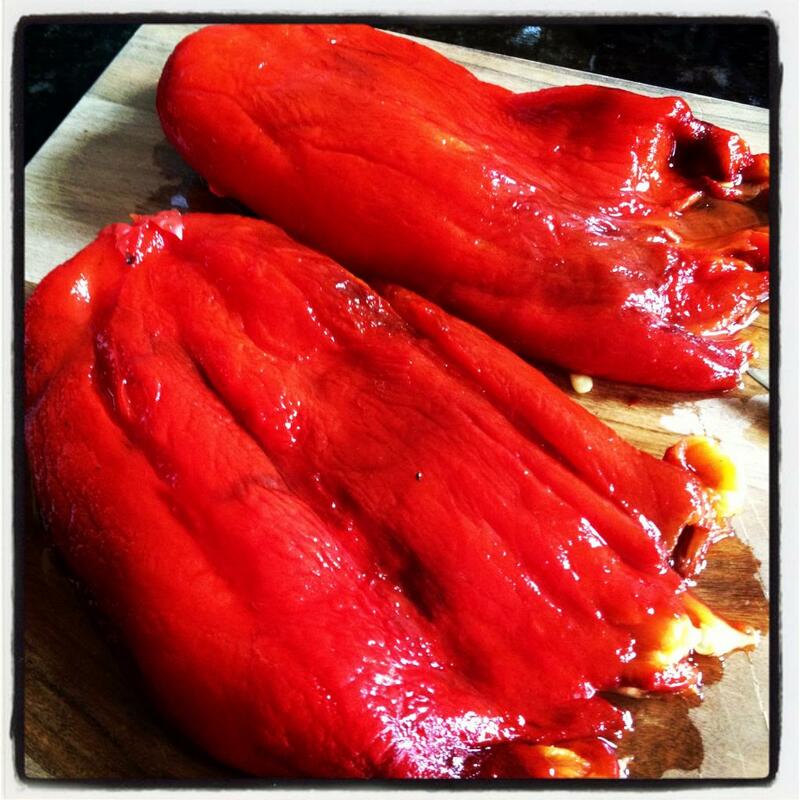 Roasted peppers can be popped into a freezer bag and frozen in small batches, take them out as you need. This is especially perfect for summer when you can get red peppers cheaper. Place the bell peppers onto a lined baking sheet. Place them in the oven under broil, close to the top. If you have an electric oven it will take a little longer side but gas will go pretty quickly. Check the peppers after a couple minutes, once well charred rotate the pepper and repeat for all sides. Once the peppers are charred well on each side, remove and place into a place bowl. Cover tightly with plastic wrap and allow to sit until cooled. The steam that is created in the bowl helps the skin pull off of the peppers. Once cooled completely go ahead and pull the skins off the peppers. Slice the peppers into thin strips. 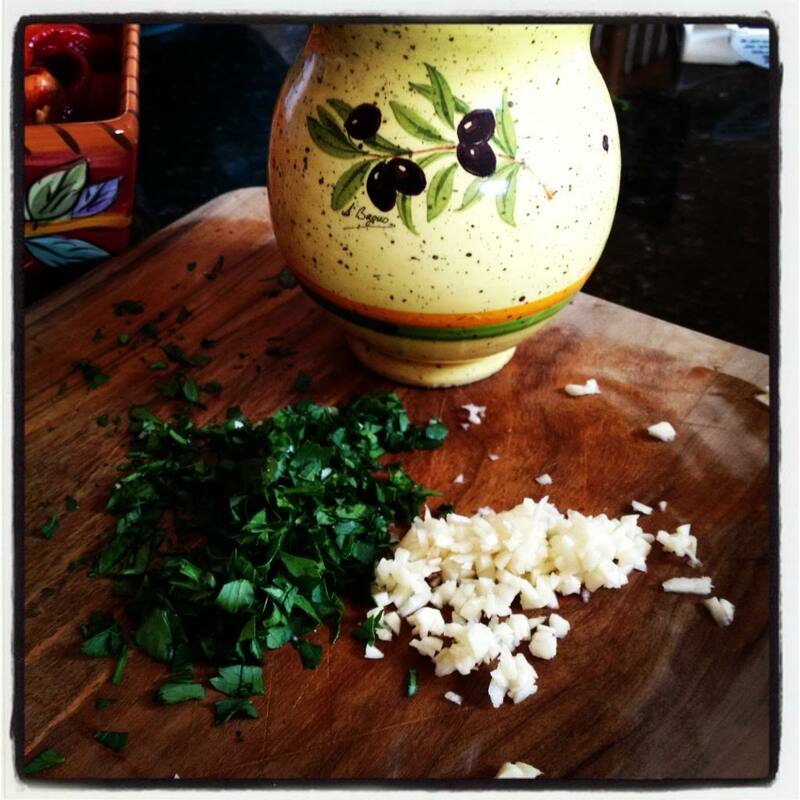 Place into a bowl, the sliced peppers, chopped garlic and parsley and a drizzle of olive oil. I love making typical store bought canned goods for myself. They always are so much better! One more recipe to add to my repertoire. 🙂 Thanks! You are absolutely right! I like taking canned artichokes and marinating myself (actually breaking down an artichoke takes too long lol). Enjoy!! !